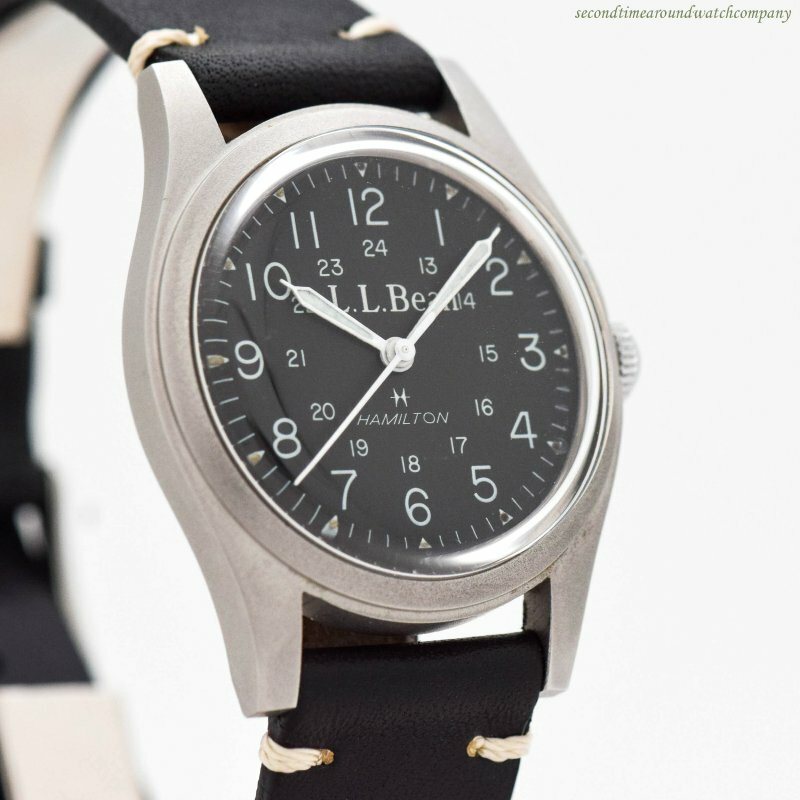 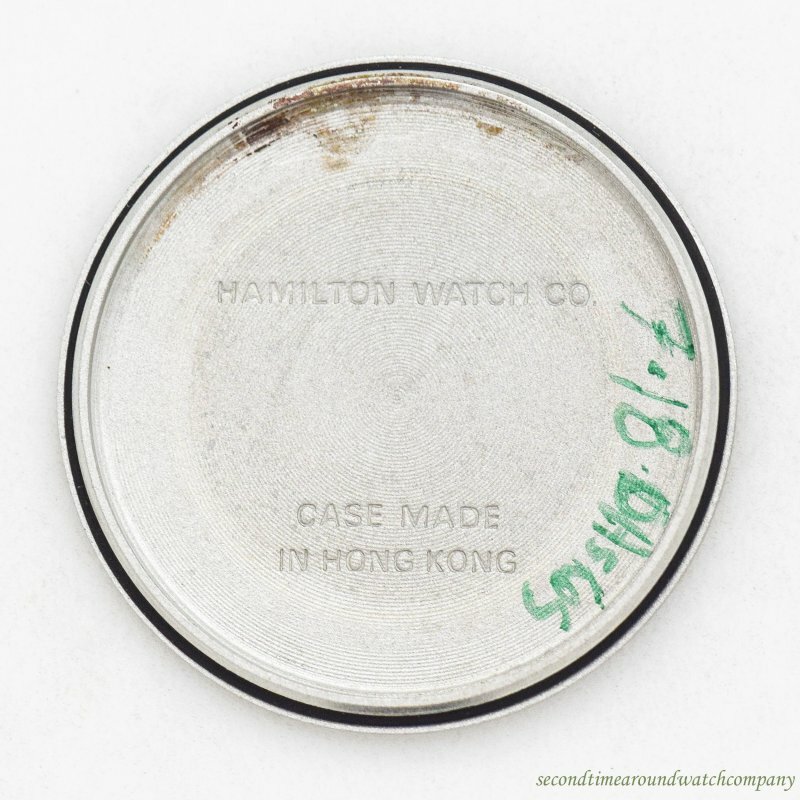 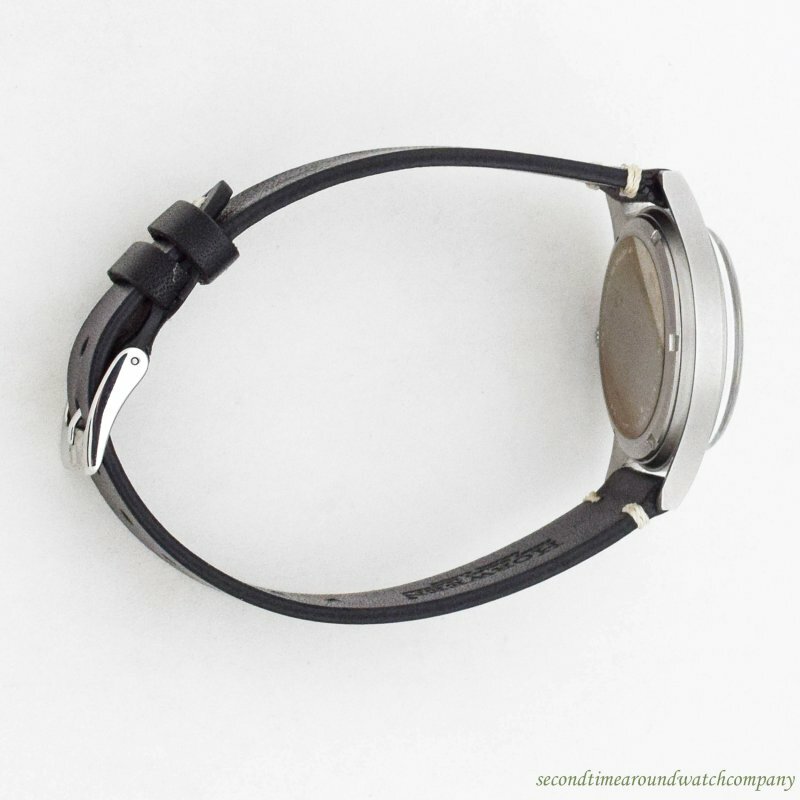 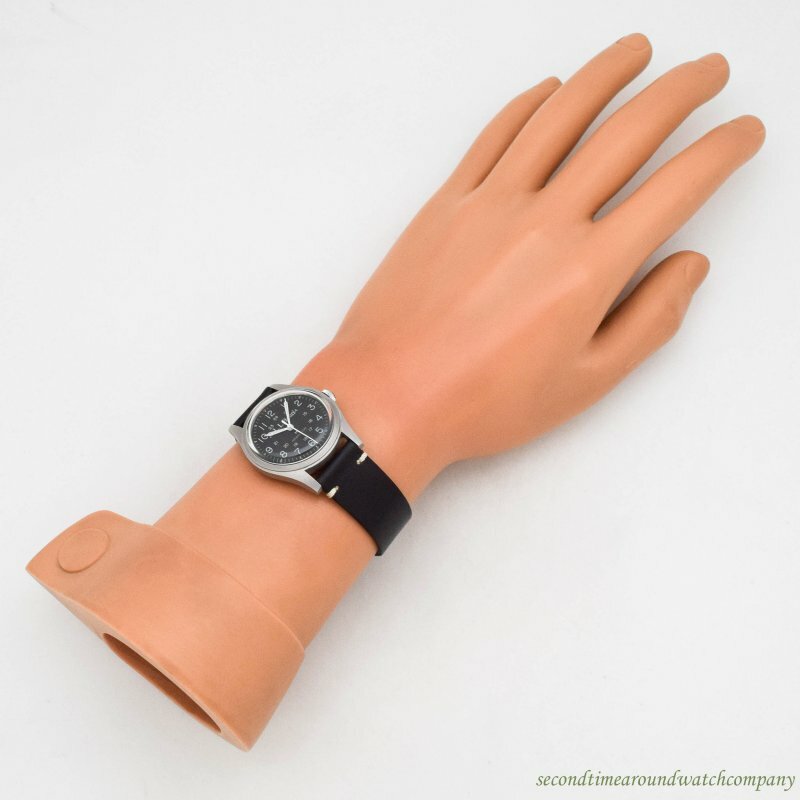 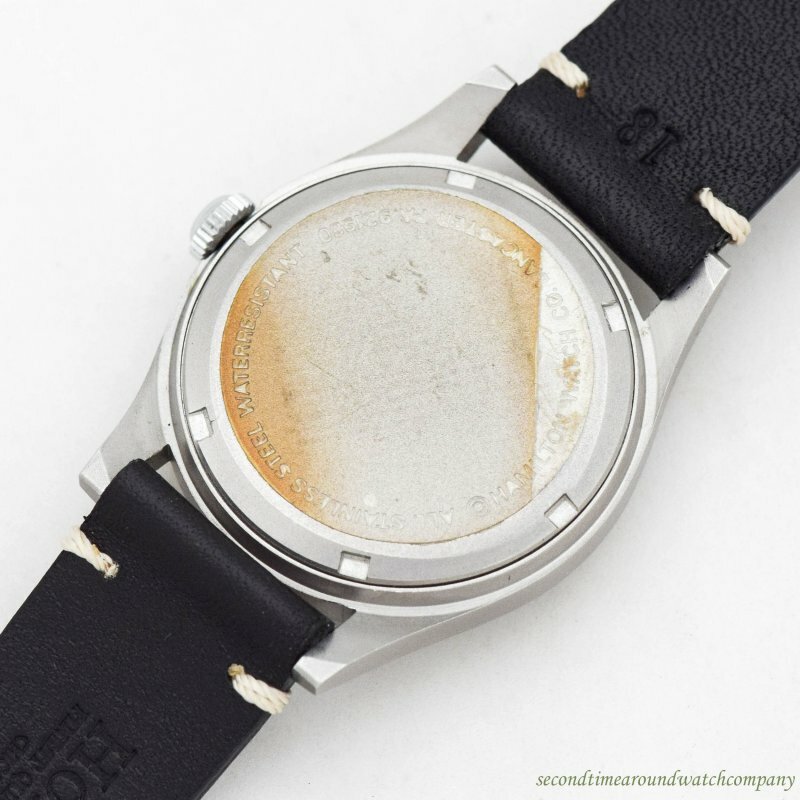 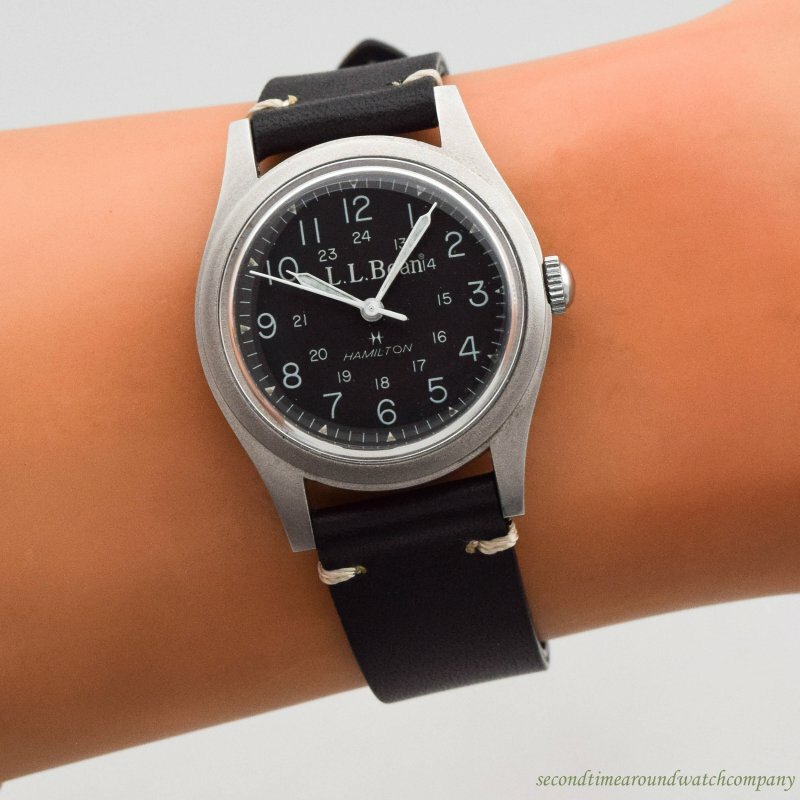 1980's Vintage Hamilton Military Style Stainless Steel watch Retailed by L.L. 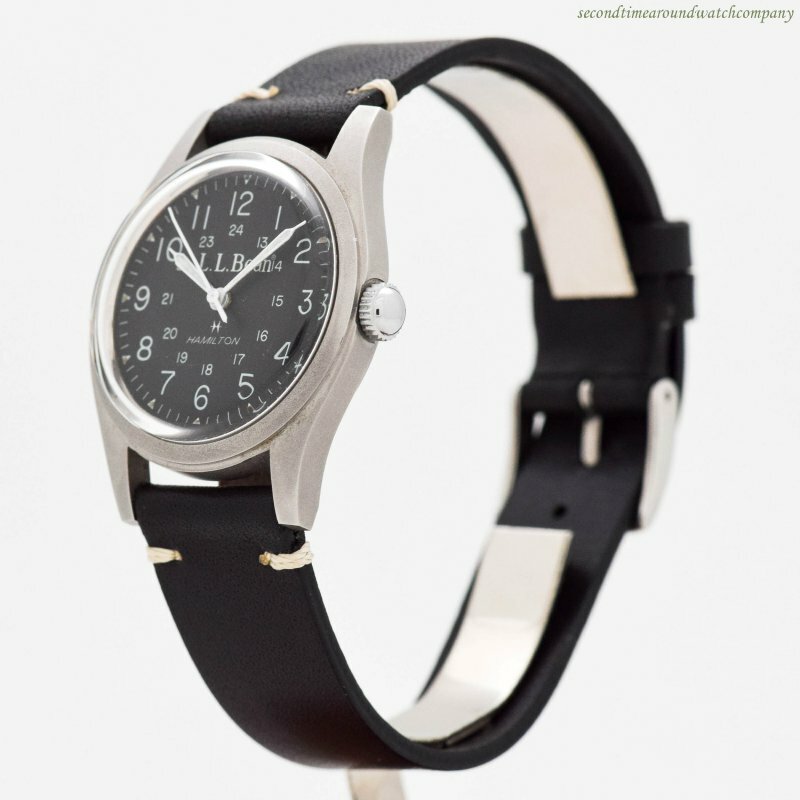 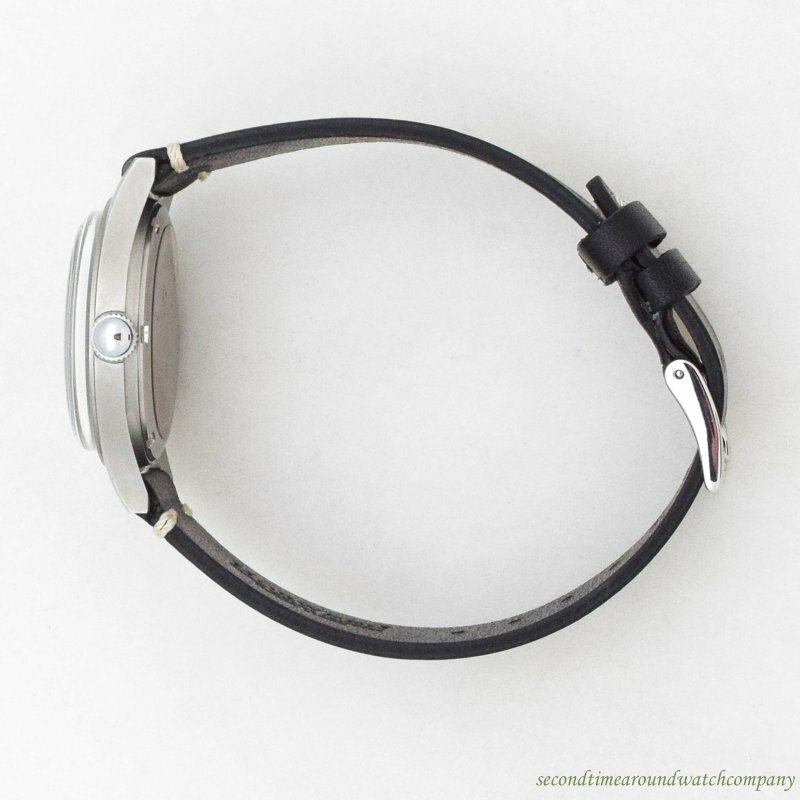 Bean with Original Black Dial with Luminous White Arabic Numbers. 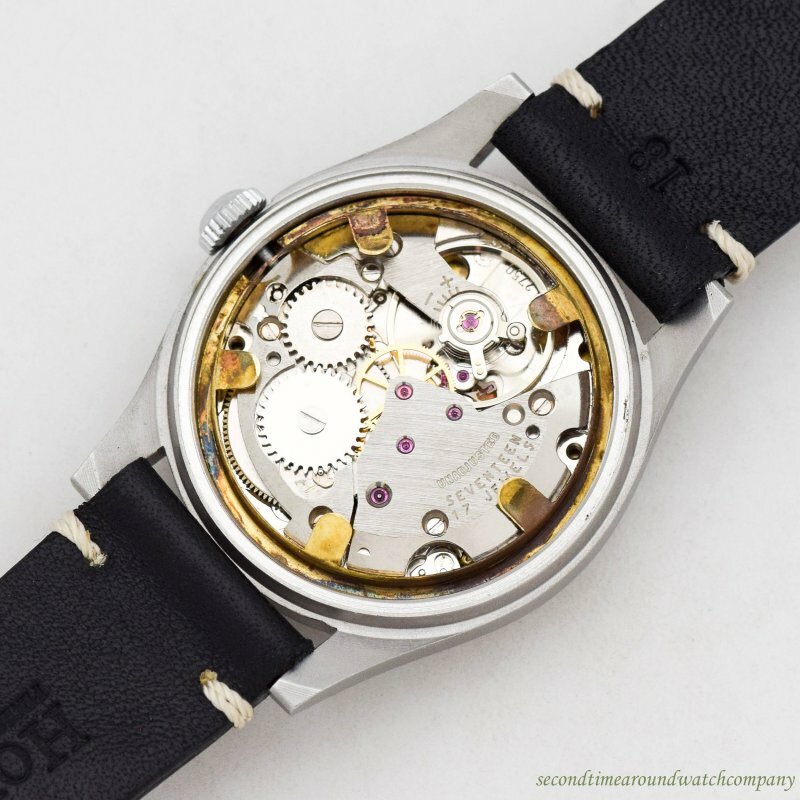 Swiss Movement, with Case Manufactured in Hong Kong.